Based on the March 15th Sketch from Let's Get Sketchy. Hi Deanna! Another nice one! Thanks for joining us at LGS! Beautiful take on this sketch Deanna! Thanks for playing at LGS! Another lovely page from you Deanna! Thanks for joining us at LGS! 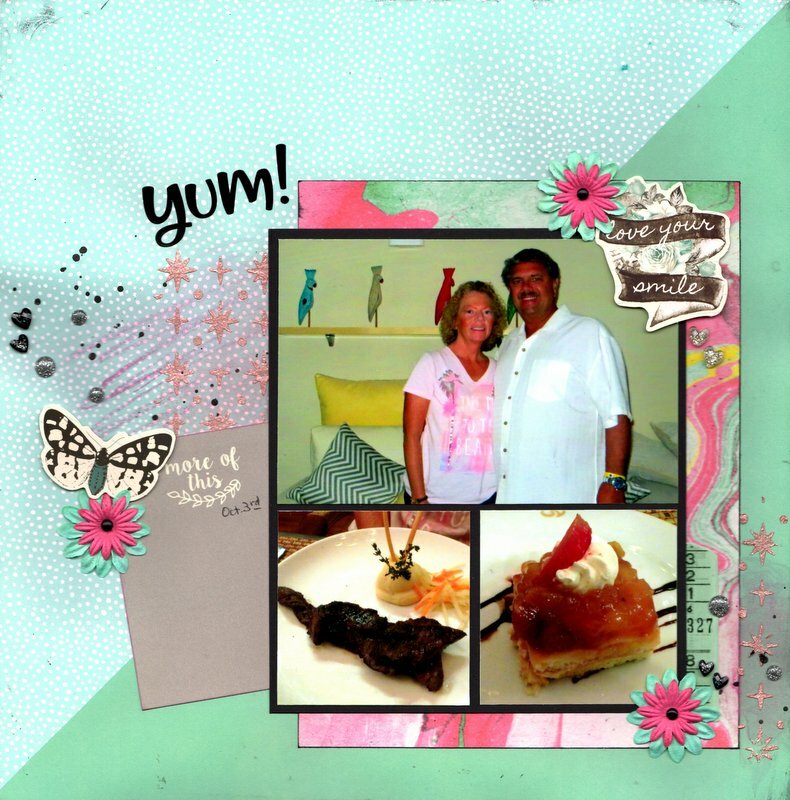 Lovely background work and embellishing! Fabulous layout! Thanks for playing along with Lasting Memories Layout Challenges! Great take on the sketch! Thank you for joining us at LGS! It is a very nice work ♡Thank you for joining us at LGS! Oooo that food looks rather scrumptious. Thanks for playing along at Let's Get Sketchy.